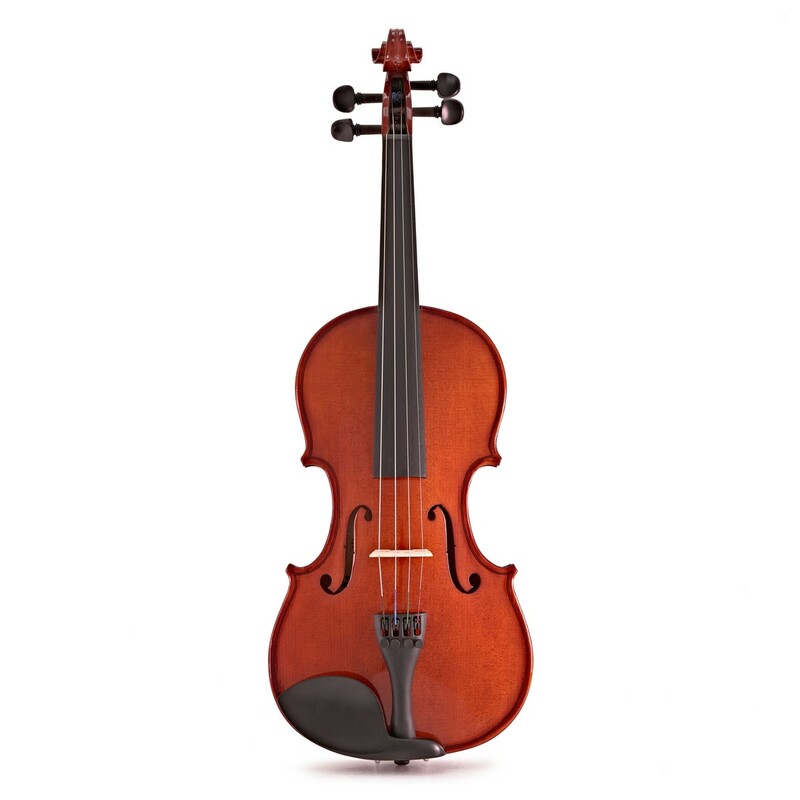 The Gear4music Student Plus Violin is ideal for beginners looking for a starter instrument with a few extra touches to ensure a quality playing experience as they progress. This violin has a Spruce and Carved Canadian Maple body with inlaid purfling that produces a rich, smooth tone throughout the registers. 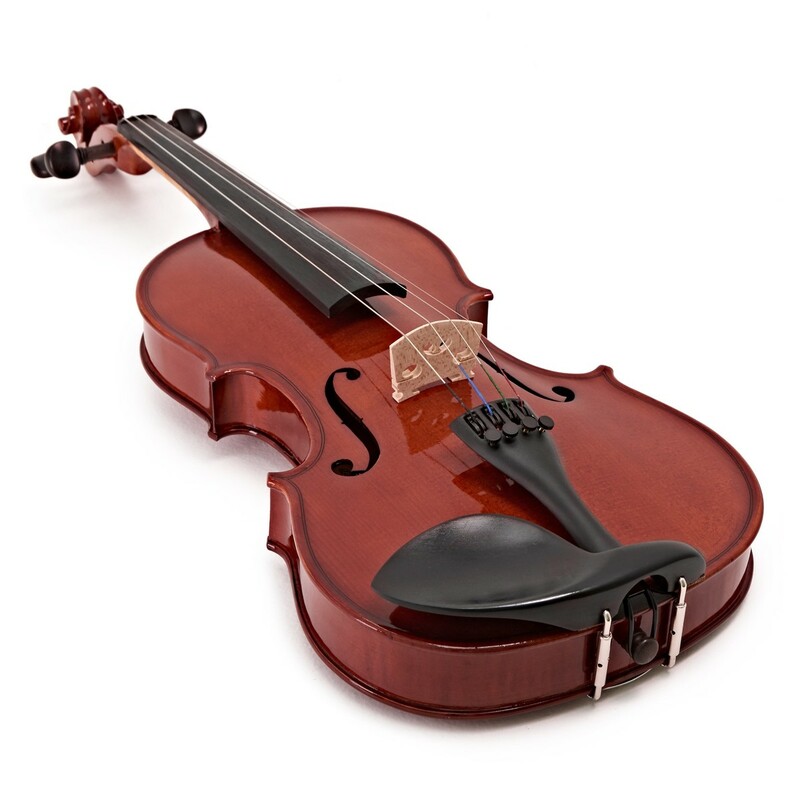 As well as the same easy-to-use integral tuners and accessories as the Student Violin, this Plus model also includes traditional Ebony fittings and a genuine horsehair bow for a long-lasting instrument that can stay with the learner as they progress. This Student Plus Violin has a hand finished body shaped for comfort and crafted from Canadian Spruce and Carved Canadian Maple. These tonewoods are chosen because of their lightweight, strong and flexible nature whilst the carved wood helps produce a rich, deep tone. 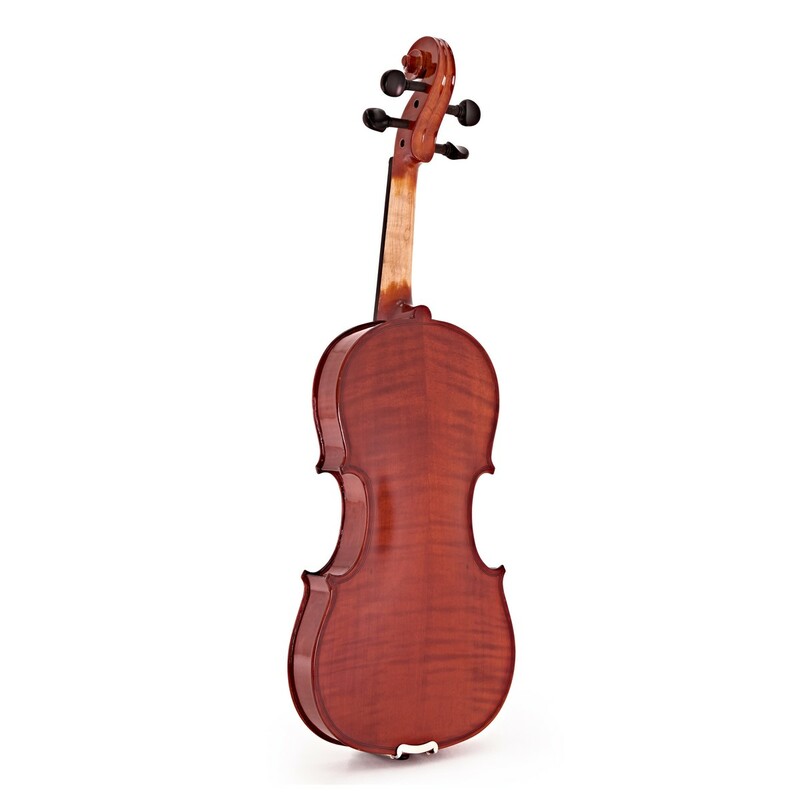 The violin's top features inlaid purfling to protect against cracks forming at the edge of the instrument and to allow the top to flex more freely. The body is finished with an attractive orange-brown, hand lacquered varnish for a classic appearance. 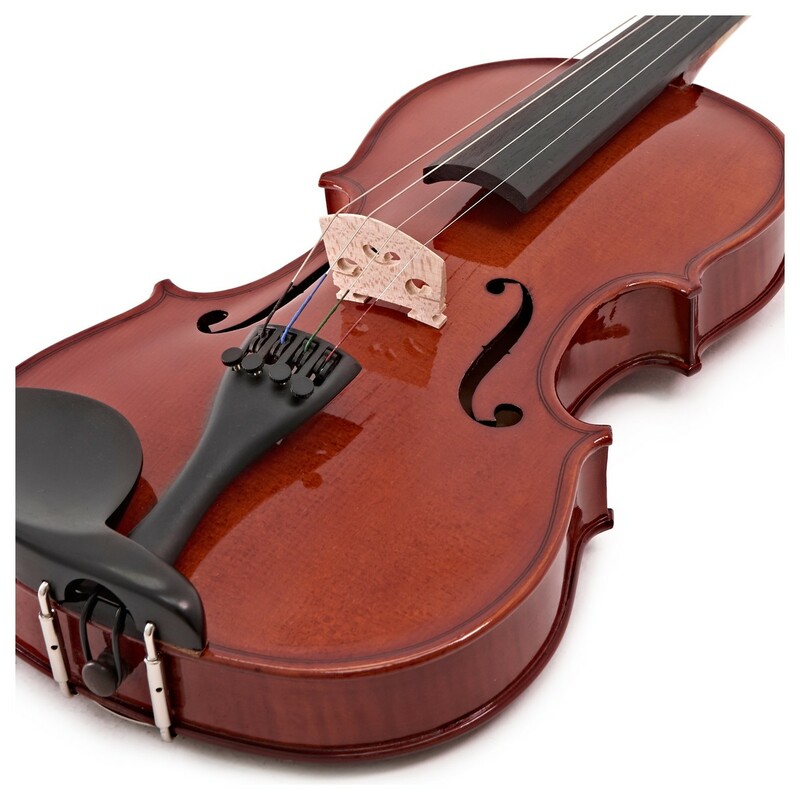 This easy-playing violin produces a warm and rich tone throughout the registers making it ideal for students. 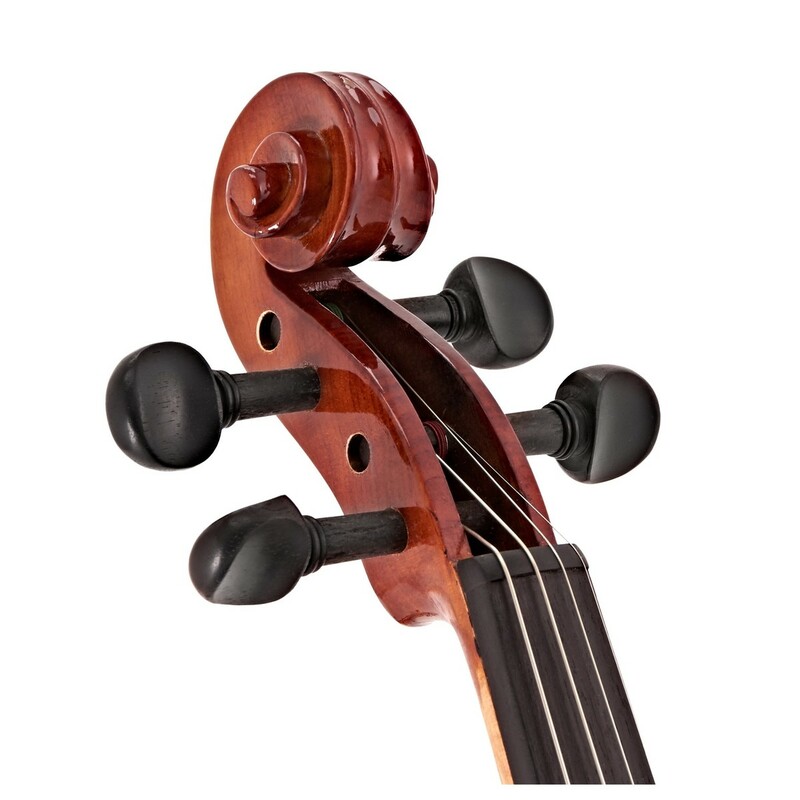 The violin's tuning pegs, chinrest and endpin are made from Ebony for extra toughness, beauty and superior resistance to wear. A traditional fitted Maple bridge, Jujube ebonized fingerboard and Maple neck allow easy and quick shifting between positions. The steel core strings are ideal for beginners due to their quick response, stable pitch and long life. The strings' coloured silk wrappings help students with identification and provide friction against the pegs. The strong, metal tailpiece is fitted with four integral tuners to aid students in achieving accurate tuning quickly and easily. 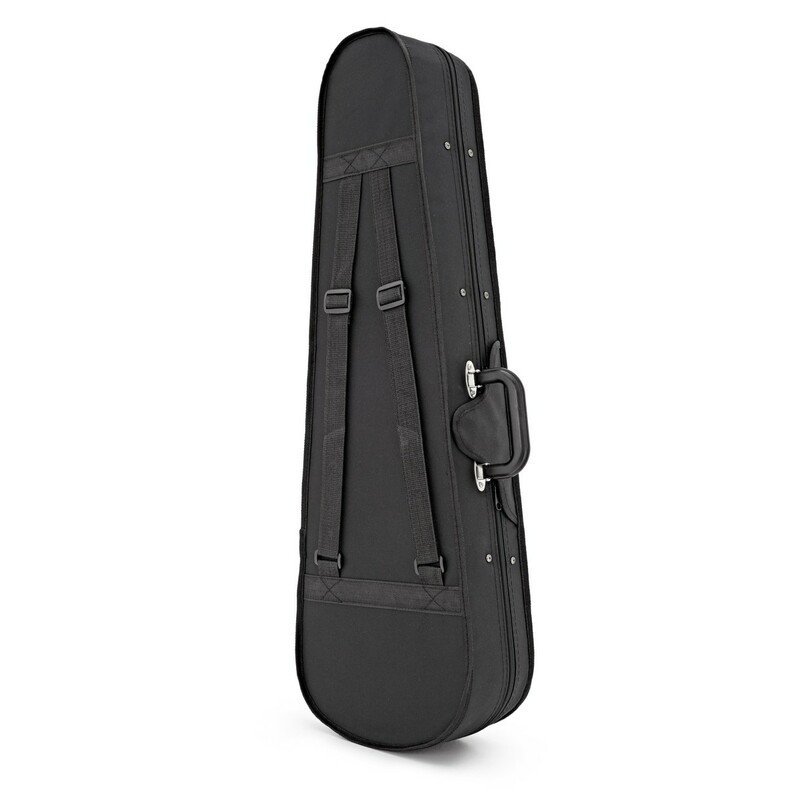 The Student Plus comes complete with a bow, hard case and rosin so the learner has everything they need to get started straight away. The included bow features genuine horsehair that produces a rich tone and smoother playing experience. It's crafted from hardwood - a favourite for bow construction because of its density and durability. 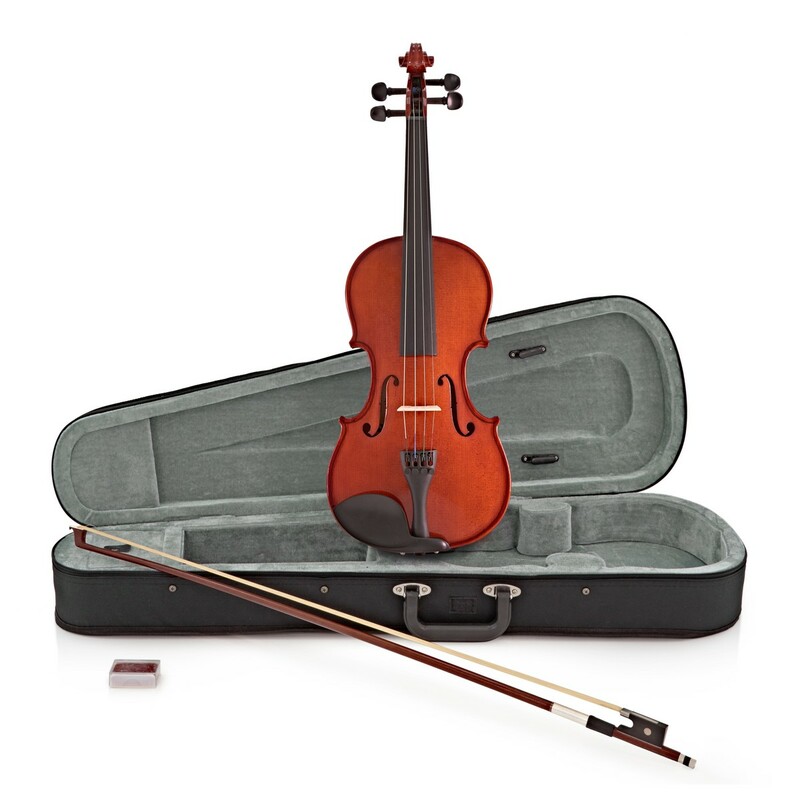 If you're just starting out, you may be interested in the Student Plus 4/4 Violin + Accessory Pack, which comes with a number of additional accessories including a music stand, DVD and shoulder rest.